UCI Retirees Association has raised $ 1,115 from 13 gifts! When everybody gives, we all gain - UCI’s Giving Day video; click above. Giving Day is an opportunity for the entire Anteater family to come together and support the areas that they're most interested in at UCI. It's the time that we come together and show the world what it means to be a part of University of California, Irvine. So let's rally together and keep the momentum going in order to continue building on this foundation of greatness. 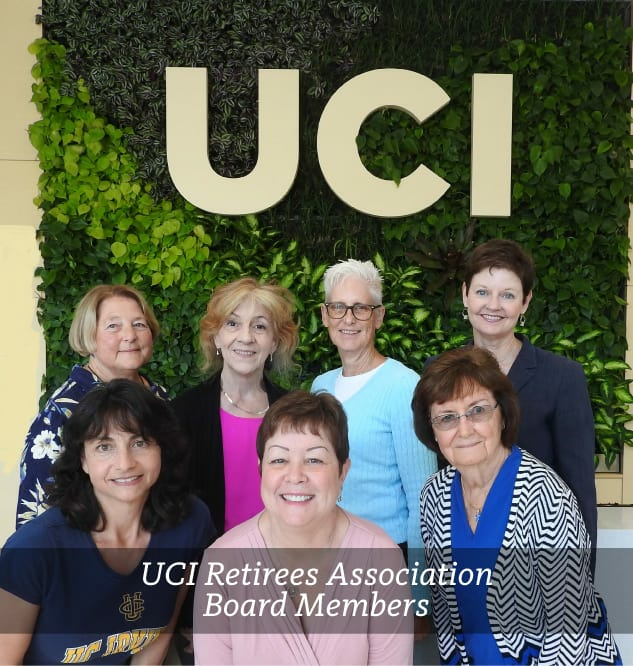 The UCI Retirees Association represents all UCI retirees by working on both UCI campus and UC system-wide committees. Our participation on the Council of UC Retirees Association (CUCRA) allows us to interact with the UC Office of the President regarding health insurance and other retirement benefits and with the Retirement Administration Service Center (RASC) on the type and quality of services provided to retirees. We collaborate with our Center for Emeriti & Retirees (CER) to provide a spectrum of activities such as lectures, special access to performances, cooking classes, wellness events, bus tours, and two ever-popular annual events: the Annual Art Show and the Anne Paden Memorial Golf tournament. Our goal for Giving Day is two-fold. Increase the funds we have available for our advocacy efforts on behalf of ALL retirees. (Emeriti are retirees too!). A prime example is the work being done now to retain our excellent health benefits. Since some of you are Lifetime RA members (as am I), my personal challenge is for each of us to re-commit to the Retirees Association by making a donation. Many of us have benefitted for years from just one membership fee. Let’s do this! !